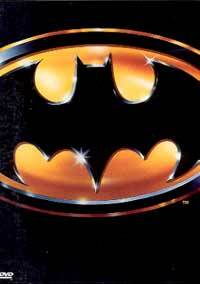 For eons they wanted to give Batman the big screen once-over without the cheesy TV series' tackiness. The man chosen for the job was a very good one: Tim Burton. Keaton was a good choice in the title role, although I feel he doesn't have the strong comic book facial features (a bit pudding around the cheeks). Bruce Wayne is a wealthy businessman whose troubled mind agonizes over the death of his parents at the hands of a petty criminal when he was a boy. So, he uses his money to build gadgets to assist him in his vigilante work at night. The Joker has always been Batman's favourite opponent, and here you see his creation and tactics holding Gotham City in his twisted grip - he is perfectly played by a manic Jack Nicholson. While many would disagee, I don't feel Prince was the best choice for the soundtrack, but it resulted in a few hits. With Burton's darkly lined touch, this first in the Batman series got an edge that fused the comic book fantasy with a sense of surreal realism.